A brace from Odion Ighalo on Tuesday helped the Super Eagles to a crucial 3-2 away win over Libya in the Africa Cup of Nations qualifying series. Ighalo continued from where he stopped few days ago in Uyo where he netted a hat-trick as he added two more goals to his name on Tuesday to help Super Eagles move to the top spot in Group E of the AFCON Qualifiers. It was Ighalo that got the opening goal early in the first half in Sfax on Tuesday before Captain Ahmed Musa doubled the lead moments after. However, the Libyans came back fighting afterwards and their efforts paid off as they reduced the deficit before the first half ended. The Super Eagles started the second half quite poorly and they were punished for it as the Libyans deservedly got an equalizer midway through. 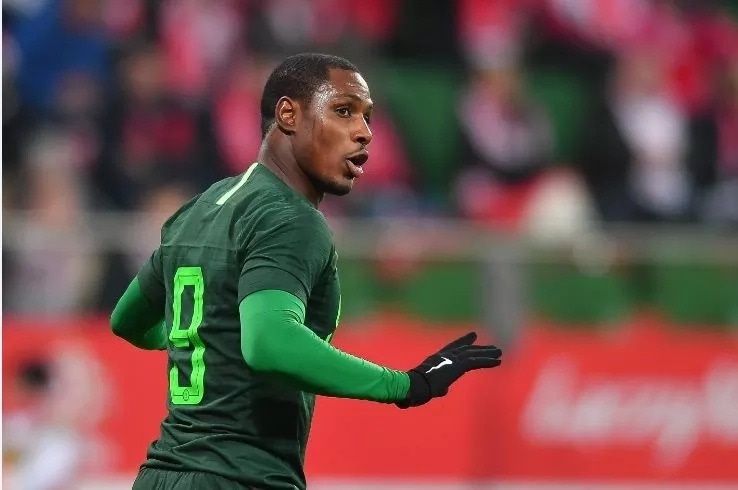 However, against the run of play, Ighalo ensured that Nigeria took all three points away from Sfax as he scored his fifth goal in two games to earn a crucial Nigeria a 3-2 win over the hard fighting Libyans. Nigeria with 9 points from four games are top in Group E while South Africa are second while Libya are third and Seychelles are at the bottom of the log.